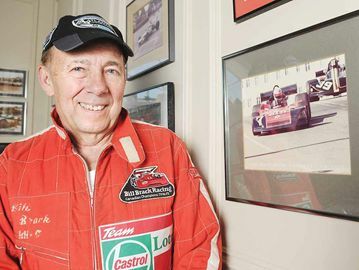 He originally became involved in auto racing in the early 1960s, in the form of ice-racing in Huntsville, Ontario. Brack subsequently became a Formula One driver who raced for the Lotus and BRM teams. 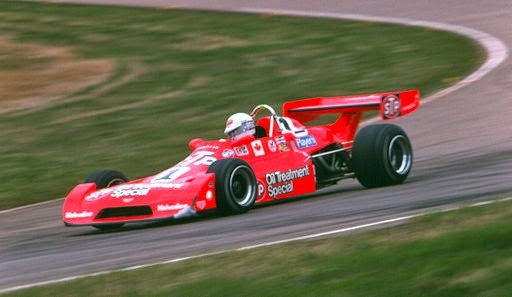 After Formula One he was successful in Formula Atlantic, becoming the only driver to win three Canadian driving championships, and he did it in consecutive years, 1973, 1974 and 1975. To do it, he had to beat some of the future Formula One and Indy 500 winners, plus a young up-and-comer named Gilles Villeneuve. In his outstanding career, Bill also won 2 North American Formula Atlantic Championships and the Canadian Touring Car Championship. Bill also competed in SCCA Endurance Racing, Trans-Am and F-5000. Bill was inducted into the Canadian Motorsport Hall of Fame in 1993. He now operates the Brack Driving Concepts academy at the Shannonville Motorsport Park. Bill Brack at the Edmonton International Speedway Formula Atlantic Race.